Blog Big Data How are Big Data and AI Changing the Business World? How are Big Data and AI Changing the Business World? Today’s businesses are ruled by data. Specifically, big data and AI that have gradually been evolving to shape day-to-day business processes and playing as the key driver in business Intelligence decision-making. With the advancements of AI and cognitive computing with big data as the feed, companies now can gain the real-time insights of business trends and consumer behavior to get an edge over other competitors. Check out our Big Data Certification Training Courses. 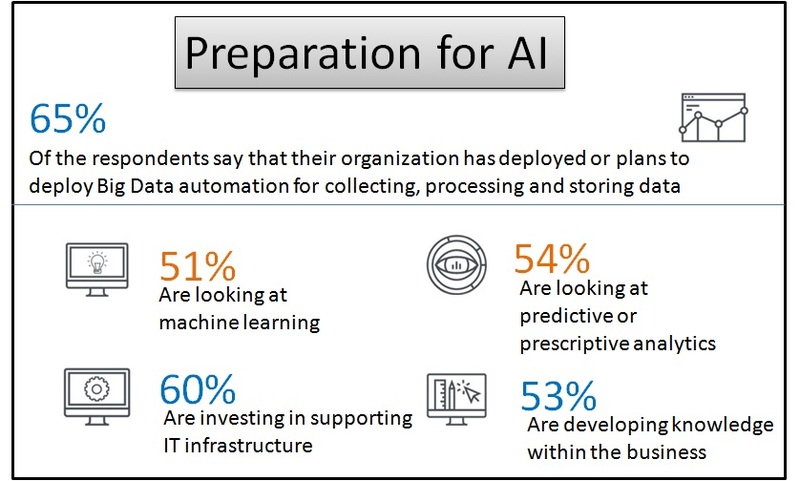 As per predictions from Forrester, this trend of business pattern forecast an increased adoption of Big data and AI among 70% of enterprises across the globe; which is 51% more than in 2017. Hence, this is a clear indication that artificial intelligence and big data are transforming the business world. 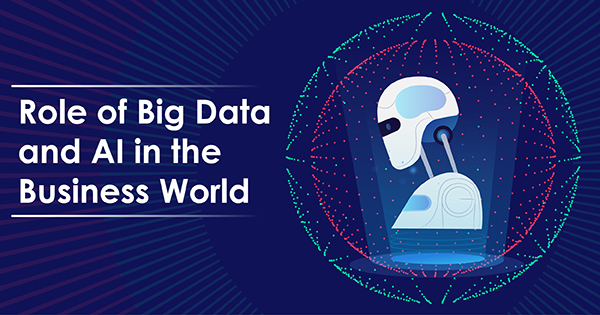 So, if you are among the ones curious to know what are impacts of Big data and AI in business place, then this blog will explain to you in detail. While Big data is playing the role of an ever-growing reservoir of data, it boosts AI to become the disruptive force across the global economy. 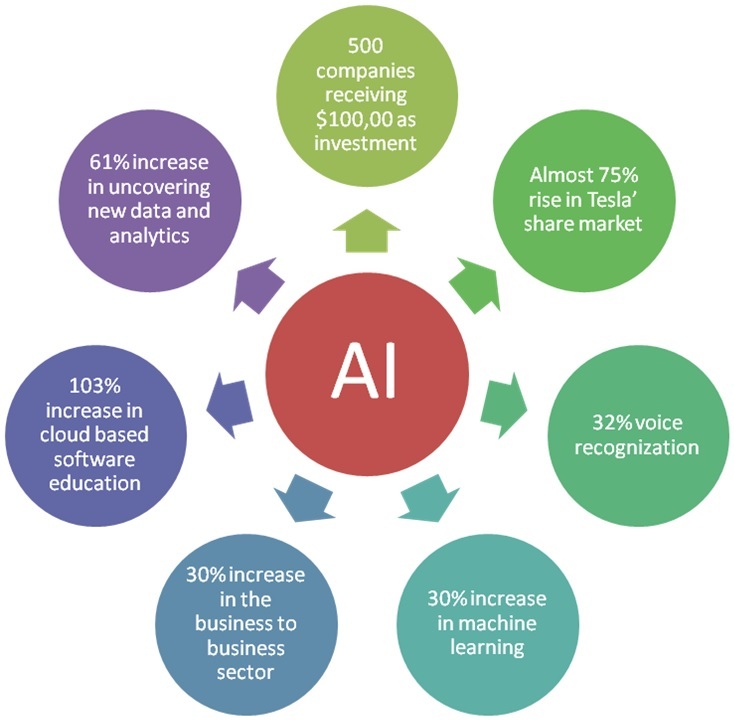 It is estimated that AI could contribute up to $15.7 trillion to global GDP by 2030. Here $9.1 trillion contribution comes from consumption-side effects whereas $6.6 trillion comes from increased productivity. What are the Areas Where Big Data and AI can Contribute to the Business? From the beginning of this blog, we are saying that Big Data and AI are contributing to the businesses. Let’s have a look over the main areas in which Big Data and AI can contribute to the businesses. Big data has helped to overcome the limitation of business intelligence. With big data analytics using artificial intelligence, analyzing businesses has become more effective and easier than before. Big data and AI together has turned business intelligence from reactive to the proactive business solution. What does that mean actually? 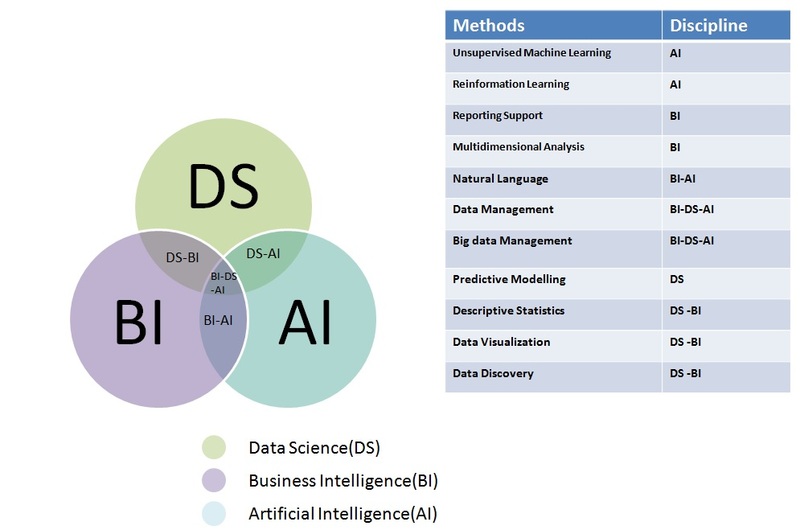 This enormous progression of big data analytics using artificial intelligence enables business intelligence to contribute more mature decision making. 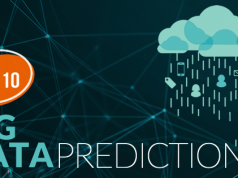 While big data processes unstructured data and feeds it to AI systems, through algorithms AI breaks down this source data into actionable insights which are then used for the decision-making process. This is very effective to predict consumer behavior. In coming years social media data will play a significant role to increase the sales opportunity. While Big data tools will source and process the data and feed it to the AI systems, with behavioral targeting methodologies, AI can accurately and effectively enable the marketing stack. Hence, Big data and AI together will intelligently determine if any consumer or platform is looking for any customer management software(CRM). Such kinds of information are extremely helpful to enhance customer experience and customer management. New in the world of Big Data? 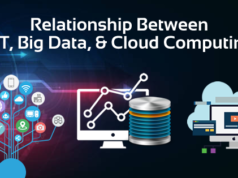 Read this detailed blog on Big Data and learn Big Data now! Big data and AI together not only is going to proactively improve customer service experience but also is driving companies to make more automated customer responsive products. 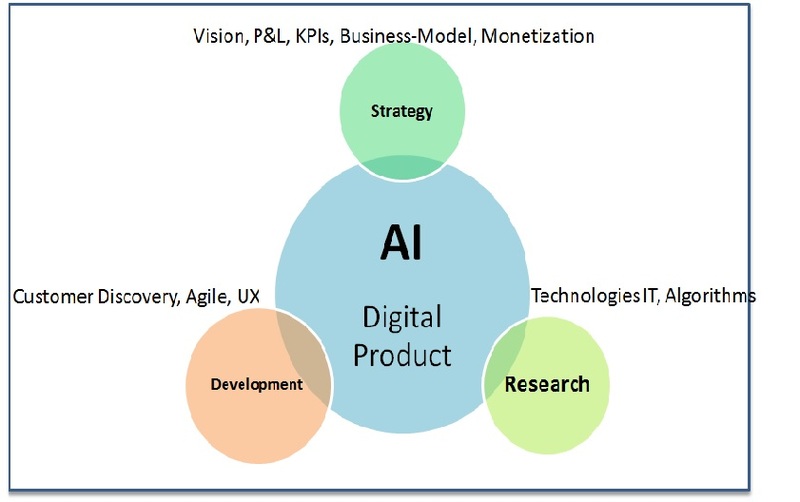 With the use and implementation of big data analytics using artificial intelligence nowadays, companies are matured enough to focus on design their products in a way so that it can fulfill the future needs of their customers. Another interesting and essential part of Big data and AI is Chatbots analytics that has become a regular part of every online business. This is a reliable and intelligent outcome of big data analytics and artificial intelligence. Here data is drawn from multiple sources, and after analyzing it through big data analytics probable queries and answers are fed into the chatbots programmes through the use of AI. Finally, chatbots act as 24*7 customer support, thus speed up the business selling process. As the digital world has experienced the sophisticated support of various modern technologies, it has also raised the number of professional fraudsters who have elevated the financial risk for the business. Thanks to AI which has empowered business with smart AI tools like speech recognizer, video recognizer, natural language and many more to protect them from fraudulent schemes. Today increasing efficiency in industrial engineering is next to impossible without big data. In industrial engineering business by using big data analysis engineers can determine the constraints of the business and how it is binding with the business. Thus they can remove the constraints quickly which ultimately helps to increase business performance and throughput significantly. Inventory management is a costly affair especially if you are not sure what to produce and how much it should be? However, with the help of big data analysis now it is possible for a business to predict the future trends and events of the industry. Not to mention it helps in organized inventory management that meet the customer requirement without excessive cost. Forecasting on sales gives the business an in-depth analysis on the ideal time of inventory purchase. Big data is all about turning facts and figures into insight. 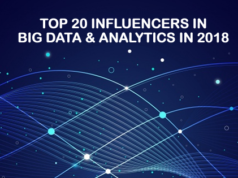 Let’s find out the big data trends in 2018? With AI we can observe there is increased adoption of automation in various industries. Moreover, the machine intelligence applied by AI has enhanced the processes of industries like life sciences, healthcare, finance and many more. Today Robots are being engaged in clinical operations to measure more accurate and faster results. The clinical interference of AI has accelerated the inventions of new medications and drugs making the health care system more accessible. As big data defines the analytics models, AI, in addition, makes the decision model more intelligent by adding the automation part of it. This AI generated automation provides real-time feedback of data that enhances prescriptive models resulting in the next prescribed decision automatically better than the previous ones. This exceptional ability of AI helps to make business decision making more profitably. How AI-powered Business Intelligence Simplifies Business? Now with the unprecedented growth of big data from multiple sources, dashboard analysis of such a huge chunk of data becomes nearly impossible. In this case, AI-powered BI tools help to digest all the data along with tailor-made insights on that. Big data is growing at rocket speed, so it can easily choke the business operations. However, AI-powered business intelligence tools can help to break down huge chunks of data to get manageable insights. Big data analysis works most effectively if a business can make strategic decisions on time. But because of the two important factors of big data velocity and volume, this is really tough. However, with AI-driven Business Intelligence business can use powerful dashboards which enable timely alerts with business insights for key decision-making. We have already mentioned in the previous sections that big data acts as the fuel for AI. Big data analytics using artificial intelligence makes it increasingly powerful to generate real-world insights. The more big data is fed into AI systems, the greater will be the intelligence of the AI system. On the other side, with the increased adoption of the Internet of Things and advancements in deep learning, more connected devices are generating data making global information increasingly digitized. This data is not just used for the purpose of storing. Instead, it is analyzed using AI systems. Companies who are working on quantum computing technology which is going to be commercialized in the near future. These companies are expected to play significant roles in Big data and AI market. To conclude, Big Data and AI are the future of business. Hence, if you want to help your business, you must think about embracing these cutting-edge technologies. Now whether you are the owner of the business or providing service, you must be well aware of the technologies before applying them. Also, you need to prove yourself as the expert in the subject matter. Hence, gain knowledge of the concepts with the market leading Big data certification, no matter whether it is Cloudera CCA Admin Certification or Hortonworks HDPCA Certification, the choice is yours. And if you need technical help to overcome the hurdles, Whizlabs is there to help you in the best possible ways. Join us today and give your business a new leap!